Justin A. Cohn | The Journal Gazette Edmond Sumner defends for the Mad Ants at Memorial Coliseum. 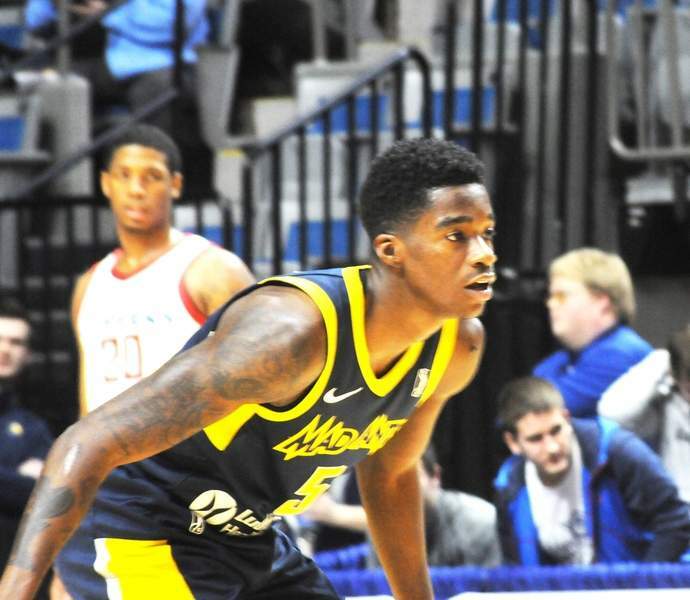 Edmond Sumner, who spent 17 games with the Mad Ants this season, was converted to a standard-contract player by the Indiana Pacers today. He had been on a two-way contract. Sumner averaged 23.9 points, 3.5 assists, 2.6 rebounds and 1.7 steals in 17 games with Fort Wayne. He was called to the Pacers on a permanent basis in the wake of Victor Oladipo’s season-ending injury.